Experience! New York’s senior citizens have it and for 44 years they have put it to work everyday in the Empire State through the Green Thumb Environmental Beautification, Inc. program. Enacted by the State Legislature in 1974, the Green Thumb Program continues its successful operation of employing seniors serving to beautify our surroundings. It represents one of the earliest environmental efforts established during the rapid growth of the environmental movement in the 1970’s. It continues today as the premier environmental organization dedicated to beautifying our state through the tireless efforts of our senior citizens. The Green Thumb Program provides meaningful and fulfilling work for senior citizens who play a vital role in maintaining and preserving the natural and man-made resources of New York State. Seniors experience great satisfaction in knowing that they have made a difference in providing all New Yorkers with a cleaner and more beautiful environment as a result of their efforts as Green Thumbers. Green Thumb workers serve to augment the efforts of full-time state employees wherever the state needs their valuable services. You will find them raking leaves and cutting the grass at DEC campgrounds. 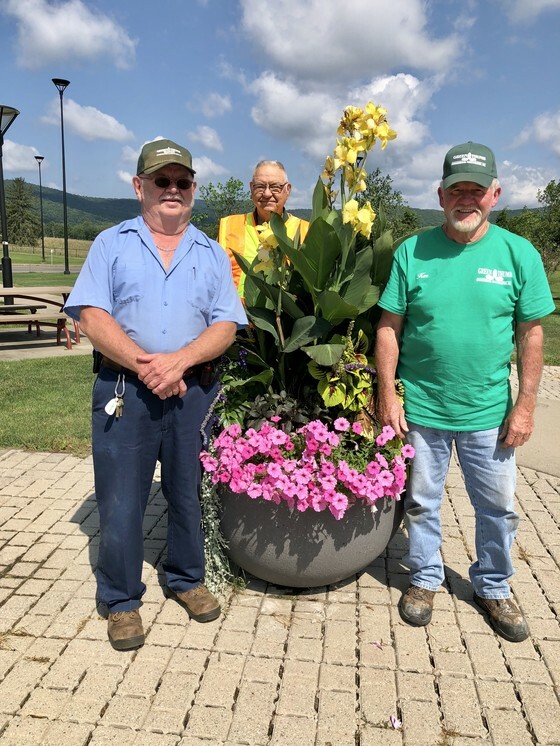 They plant flowers and perform general beautification activities along the rest areas of the Adirondack Northway. They enhance the grounds of various department and agency buildings by planting flower beds and trimming shrubs and bushes. They remove unsightly litter from walkways, and they perform some office work for selected state agencies. Green Thumbers take pride in the performance of their assigned tasks with minimal physical exertion. Their efforts make a difference in the groomed appearance of New York State’s facilities.